I have to say that digging in the past of Ron Boots' musical world is the equivalent of a nice treasures hunting. After my pleasant hearing of Different Stories and Twisted Tales, here I am again exploring the sound meanders of “Detachment of Worldly Affairs”; a surprising album where heavy rhythms bind themselves into more cosmic, even heterogeneous, passages to create one of the beautiful albums of the 90's. An album where we also seize the clear influence of Ron Boots on artists such as Rainbow Serpent, Pyramid Peak, Axess, Gert Emmens, Certamen and as well as several other names that fill our ears with a musical approach that we call Netherlands' School. And it starts with metallic mooing which roar among floating sonorous hoops. 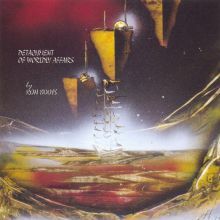 "Detachment of Worldly Affairs I" offers an intro filled by eclectic tones which liven up near of a beautiful sequence. A sequence which undulates on a warm bass line structure to which is adding some good strikings of Harold Van Der Heijden's which united his rhythm to a keyboard with curt chords and a xylophone with crystalline strikes tones. The keyboard isolates itself and escapes to insufflate a melodious minimalism approach which hangs on to the ear on a rhythmic structure which amplifies around synth solos which spin with languidness on paces with subdivided sequences, where their echoes are molding a pleasant melodious pattern. As usual, Ron Boots' musical universe is dense and rich and "Detachment of Worldly Affairs I" starts again where Different Stories and Twisted Tales, ended. "Cool Down" brings back the tempo in a proportion closer to electronic ballad with a soft suave synth and its breaths of a virtual sax and its fine hesitating chords on a fine structure of bass which pulses of a delicate dreamy tempo. This is a soft electronic ballad which also furnishes the intro of "Detachment of Worldly Affairs II". A soft and warm opening which pours towards a structure with richer tones and its dramatic sparkles and its cosmic sound elements which float between good solos of synths and a pace built around some slightly syncopated spirals. After a slow intro stuffed with tones of twisted metal which are melting into a synth to sinister breaths, a splendid sequence livens up "Lachrymation". Initially skips innocently, joining its chaste rhythm towards percussions to subtle tribal beats which liven up a tempo wrapped of synth velvet. Another more harmonious sequence move is molding at this surprising astral dance which pulses under a soft synth of cotton wool before embracing an ambient phase. A short phase where the rhythm takes back its rights under solos pushed by spectral impulses. It's a very good track which should become a classic in contemporary base sequenced EM. After a deafening opening, "Breath the Living Air" takes a very ambient tangent with a nice bass line waving beneath a sky covered of cosmic polyhedrons pushed by a synth to multiple breaths and to crystalline chords. It's a strange nothingness of lights and sounds pierced by the ghostly voice of Ron Boots who engenders a kind of cerebral hypnosis. After this cerebral rest "Free Flying Spirits" gets us out of this prismic coma with a great play of sequences which hiccup in the shade of very good percussion hits and synth streaks which draw an extremely powerful musical weft. Of all the EM albums that I heard this must be one of the heaviest and melodious tracks to roll between my ears. It's pure and rich rhythm which takes root on sequences among which the vibrations and the resonances make a perpetual sequence of movements on tribal percussions which add a surrealist touch to a totally unbridled track. Powerful and brilliant! "Far Bounderies" ends with a cosmic excursion where all is in suspension. It's a long ambient piece of music where shards of keyboards decorate a firmament of heavy synth waves and that astral choirs are chanting an ode to serenity. Remixed and reedited in 99 by the Groove label, “Detachment of Worldly Affairs” is a pure musical marvel. Ron Boots multiplies wild rhythms on daring sequences and develops a melodious approach that fits so well to his robust style. This is a very good album, his best in my opinion from this era, which was voted by fans as the best 94's album and where Ron Boots approaches all the musical forms of a Berlin School which quickly turns out to be the Netherlands one. After a first album which had fairly seduced me, Noryani comes back with a 2nd album which shows a surprising progression and a musical maturity since Northeast 117 in 2011. Built around a recurring melodious theme which is inspired by Mike Oldfield, by melancholic and futuristic atmospheres à la Vangelis as well as by rhythms weaved in the clanic frenzy of ambient mid-tempo and trances; “Southeast 225” takes our ears by front with a delicious cocktail, sometimes explosive and sometimes meditative, which amazes as soon as we enter it. Adrian Noryani takes a jealous care of well elaborating his 11 compositions by some rich moods and diversified rhythms which are constantly evolving, lulling melodic structures which surprise from their unsuspected tangents. "Corredores-Introducción" introduces us in the 11 phases of “Southeast 225” with an intertwining of dark synth layers which float such as a cloud of threatening ether over beautiful piano lines. The moods of Blade Runner, in particular the hesitating melody, fill our ears with these synth layers and their metallic textures which embrace themselves with passion in a futuristic pattern. Arrhythmic, the track begins to pulsing with a strong bass line of which the one-legged pulsations jump in a musical canvas which can call back the troop of dogs running for their survival in Antartica. 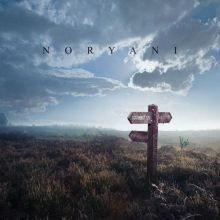 As for an introduction, both at the level of rhythms and ambiances, Noryani hits the bull's eye. "Mi(s)tico" borrows also Vangelis' apocalyptic tones with synth layers which sweep the horizons of a menacing look. Little by little this toxic cloud disintegrates to give way to a robust rhythm supported by good strikings of percussions. If the atmospheres are weaved in the shade of the Dantesque synths of Vangelis, the melodies are structured in the fragile notes of a piano which hesitates between Mike Oldfield and this same Vangelis. And on "Mi(s)tico" these notes are nervous and skip through a field of percussions in their strikings by moment puzzling. "Destrucción Masiva" is a rather hard-hitting track. The intro is sculptured with a mix of ambiospherical breezes and organic tones which are crisscrossing in the reefs of percussions to static metallic elytrons. The breaths of a lost world à la Blade Runner pierce our eardrums while the rhythm remains always dying in its embryonic stage. But the musicality is rich with some rivulets to tones of prism of which the wavelets undulate under the moaning of synths warning of apocalypse, while the percussions make hear their random strikings through prismatic stroboscopic strands. This static broth fattens its uncertainty with heavy hummings which quietly sound the awakening of a loud and hammering rhythm where the rebellious choruses are entering into a hypnotic trance. This is one of the strong moments of “Southeast 225” which deviates towards a softer passage with "Vientos" which is a contemplative cerebral wandering with its black melody molded in the tears of a piano daydreaming under a metallic rain. "Leds" is built on the same model as "Destrucción Masiva" with its rich ambient intro where ochred clouds are dissipating little by little under the knocks of a chaotic pulsation. Riffs go astray in abstract filets and their zootropic outlines, leading "Leds" towards a frank and jerky techno rhythm which pulses of a fast hypnotic movement under a harmonious watercolor of layers to sharp threads. It's this kind of techno for mutilated zombie which takes assurance in its rhythm as it progresses, to be listen much more than to be danceable. For me, "Frost (piano de la base)" is the jewel of “Southeast 225”. The intro is deeply melancholic and reminds me a little of Guido Negraszus on Dreams of MySPACE Vol.1:Thanx for the Add with the piano notes which ring in an obscure nostalgia. The resonances which bind every note weave a melody bound by the echo and which winds a long dark corridor where are gurgling cymbals to tones of silvery felt. The percussions which roll add a funeral touch to this long procession of sadness which goes astray in its meditative madness in order to embrace a kind of a jazz uncertain of its approach, nor of its venue. After a slow intro of a clanic mood with choirs humming a funeral ode, "Caminata de Tutorial" explodes of a lively rhythm. The entire set remains very dark with this union of choruses, and their grave intonations, to layers of a black organ which draw a Mephistophelian pattern on a tempo swarming of electronic tom-toms and organic pulsations. "Células" unfolds an intro soaked of suspense with sputters of white noises which spray a delicate harmonious approach from which the ethereal breaths are caressing a very beautiful crossing of percussions and pulsations. These last ones are pounding of a static tribal rhythm that some lines of piano and ethereal voices enchant with a subjugation which spawns up to our ears. "Below the Clouds Extreme" roots the perception of ambiguity, as much as in the rhythms as the ambiences, that reigns all over “Southeast 225”. The rhythm is circular and takes shape on a chain of sequenced ions which spin in a perfect stroboscopic hoop while that, out of nowhere, springs a melody that spreads its tentacles under various forms to charm our ears through resonant drones and innocent synth whistles. The melodic emblem of “Southeast 225” resurfaces on "In Proxies" which dresses its rhythmic structure of a black and jerky approach. "Corredores-Principal" concludes with a heavier and livened up approach than the introduction. This heavy rhythm, always arched on a meshing of percussions and sequenced pulsations, bears the harmonies of a piano of which the notes are fluttering around a beautiful harmonious pattern and weaves a pleasant musical itch on an approach soaked by paradoxes. “Southeast 225” is quite a find! I rarely heard an album so musically rich and coherent where the rhythms built around instinctive and hypnotic hammerings are thundering with indiscipline in a subjecting meshing of percussions and sequences and where the melodies are elaborated with wealth in contradictory ambiences as much dark as melancholic. It's a cinematographic musical universe, at both futuristic and clanic, where the inspirations of Vangelis and Mike Oldfield are of used as skeletons for wonderful nomadic melodies which often spring from nowhere. Enigmatic and strangely musical, Noryani's “Southeast 225” enriches the bewitchment at every track, inviting the listener to push constantly on the play button. When we read the author's personal notes which accompany “A Diary of Occurrences” one understands that The Glimmer Room wants to make counterweight for the atmosphere of bleakness which surrounded the wonderful I Remain by presenting 7 tracks which at first sight want to be lighter, more livened. And it's, to my big delight, a missed shot! Even if Andy Codon claims the opposite, “A Diary of Occurrences” draws out its inspiration from the slow and evasive rhythms which fed the ambient background of I Remain. The melodies, the slow rhythms and the moods of profound melancholy which roam as harmonious nomads on “A Diary of Occurrences” give me constantly the taste to wallow my ears in this wonderful ambient and oniric ode that is I Remain. In fact if we stick all 7 tracks tips to ends that furnish this EP from The Glimmer Room we have the vague impression to hear nothing less than a section lost of this absolute masterpiece of harmonic ambient music. And it's with lachrymose synth waves which moan over an ardent musical brook and its prismic reflections that "1863" opens. A pleasant melody tinted of a very beautiful romantic imprint emerges from it. Its glass arpeggios sparkle in a harmonious ballet, comforting the incisive tears of a synth filled with silvery melancholy. This soft electronic ballad is the front door of very beautiful and sensitive one EP which loosens the imprint of a relative sadness surrounding I Remain without denying it for as much. And the stamp of gloom so dear to Andy Codon floats as a spectre fed by nostalgic gulps with tears of synth which deeply move the soul, and this even with a more ballad approach. "The View from the Summerhouse" is a perfect example with its delicate hesitating chords which roam in a thick cloud of breezes to the floating divergent harmonies and tears of familiar spirits dropped in the hidden recesses of our will to forget. A sigh of melancholy draws its wintry weather on a window by a rainy day and "Marianne, Please Get Help" makes its entrance like a wave of sadness which shakes our nostalgia. The piano notes are ringing of a harmonious desire on a bed of synth layers to outlines eroded by sadness and of which the echoing furrows join the frosted sighs which isolate us in our reality. It's very beautiful and very delicate, quite as the very neurasthenic universe of Andy Codon who puts us full ears with "The Postern Gate" and its uncertain arpeggios which ring with brightness on undulating synth waves to iridescent tones. The crescendo of emotionalism which transports this track is easily comparable to the slow dying final of I Remain of which we also find its ashes and we recognize the disturbing airs on the very solitary "We Walked with Marie Lairre". Extricating itself from the ochred clouds, "Sunex Amures" presents its melodious approach with delicate arpeggios which skip in tandem in an intense fog to silvery sea sprays. And the melody is evasive. Crawling on its cloud and its elegiac breezes, it sparkles as a concert of fireflies in a melancholic sky. The title-track is a beautiful astral ballad with its crystalline arpeggios which sparkle with uncertainty in suave paradisiacal breezes. The echo of their so crystal clear tones waltzes with the eddies of astral winds which take the breaths of this delicate contemplative melody far from the muffled pulsations of a discreet line of bass. This is another strong track, like the 6 others moreover which adorn our ears of this sole approach of melancholic poetry which is so unique to Andy Codon's signature who, nevertheless what he can say basks in ashes of I Remain. And The Glimmer Room should not be ashamed by that. All the contrary! Always much in demand among the movie makers industry, the members of Tangerine Dream multiplies the soundtracks at a furious pace. The source of motivation for Froese, Franke and Schmoelling is the acquisition of last electronic equipments technologies and building studios that will answer the creativity of the Berlin trio. Except that quietly certain members of the band start to be out of breath, of whom Johannes Schmoelling. And due to the fact that composing music like being an automatic human distributor of music, some of the albums offered may sound not as good as others from time to time. And “Heartbreaker” is one of them! And behind it, we feel that TD becomes Americanized and seems more and more denying its artistic origins by producing an album of a weakness which leaves a bitter sound in the ears of fans. And straight from the first chords of the title-track we sense the sound of light synth pop that tries to take the German trio. Don't expect something great, because “Heartbreaker” is a painful album! We are entitled to a Dream quite petite. A kind of Dream which lays the tracks with a pinky Bubble Gum aroma for spotty and dreamy teenagers. 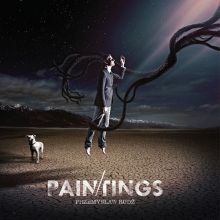 Ballads like "Footbridge to Heaven", "Rain in N.Y. City" and "Daybreak" are flooded in rhythms without colours and nor identities as well as banal and dull synths. It's a kind of soft synth rock with a zest of New Age which seems to draw the next musical directions of the Dream. "Twilight Painter" seems to be taken out of Le Parc sessions so much the keys are similar to those on Tiergarden. Frisky, "Gemini" and "Pastime" have a more rock approach with simple-minded rhythms and a so/so guitar play. "The Looser" is ok with a beautiful sequence which draws a good slow rhythm tortured by Edgar's guitar who seems quite at ease on it. Without being greatly melodious, "Breathing the Night Away" lulls us on Schmoelling very charming piano. "Desire" is my favorite track. It's a good piece of music with a very melancholic pattern which surprises us by its sweetness and its beautiful synths mixed by breaths of gloomy flutes. Some good but still timid TD! "Next Generation" and "Thorny Affair"? Incapable of feeling it! Empty and insipid on big mindless riffs. “Heartbreaker” is disappointing on all the line. A work that should never have been born and which depicts an obvious creative malaise inside the band. 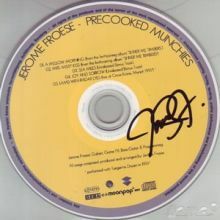 You might like it if easy musical structure is your thing but there are more much better soundtracks from Froese & Co. It was once a piece of collection, but the rerelease by Silva Screen in 1995 made it more affordable since. But the European Virgin edition is still a sought after, showing that Tangerine Dream will always be bigger than its myth. Always unexplained, the barriers of Unexplored Secrets of REM Sleep (album of electronic psychosis written in duet with Wladyslaw Komendarek) had opened towards another sound dimension which embraced the intellectual frenzies of Przemyslaw Rudz. Constantly transported by the cosmic breezes of his Jarre influences, the Polish synthesist dives back into a musical universe to the abstract forms where cosmic tones of any forms and kinds decorate the wall of impassiveness that is “Paintings”. This last sonic fresco of Przemyslaw Rudz is a work of ambiences and atmospheres of cosmic and organic tones which remind me the ambiospherical structures of the first years from Kitaro and Klaus Schulze, as well as the psychedelicosmic frenzies of Pink Floyd. In brief, it's a work which is not accessible to all ears but which is going to delight the fans of the Polish synthesist and those who like a music which deviates, and by more than a mile, from the conventional paths. Waves, as earthly as cosmic, are buzzing with tones of machineries on the beaches of our overflowing imagination for the works of sci-fi. They roll in a din where sirens of European police are crying with fury before that the silence does cut the sound hostilities. A brief silence which allows cows of mooing in a sound painting where the rustles of paranoiac kleptomaniacs are fading under more and more insistent droning. Michal Kaluzny shows all of his ingenuity by multiplying sound effects which go paranoid in these intense ambient drones which transport the frenzies of "Hidden Nooks of our Ego". Pink Floyd's Ummagumma is the first thing that comes to mind to describe better the universe of sound phantasmagoria that is this last opus of Przemyslaw Rudz. The ambience of “Paintings” is out of this world. Sounds, tones and more sounds which bloom from everywhere, piling up into morphic envelopes with fleeting rhythms which are more often static than livened up, exactly like in "Hidden Nooks of our Ego". On a slow wandering totally abstracted with tones of cosmos which glide and sparkle in an frosty nothingness, this long epic track deploys an arsenal of disparate cosmic tones which by moments take refuge within the wrapping arms of a synth and its soporific caresses. Something like a rhythm goes and comes. Statics, it's set by oscillations and humming mislaid in an immense ambiospherical sound painting. A line of sequence emerges a little after the 12th minute. Its pulsations are smothered by a sound broth which erodes any freedom of hatching, confining this long introductory track in its sonorous meanders where the art of music without music reigns in absolute master. More musical but always so abstract, "Sowers of Interstellar Intellects" is a slow morphic waltz which overwhelms any rebellion, even that of the percussions without rhythms which beat a din under the breaths of synth with aromas of a cosmic saxophone. One has to wait until "Who Goes There?" before crossing the first real rhythms of “Paintings”. And let me tell it straightaway, it's a great track which is going to switch your ears back to front! The intro is fed by Scandinavian gusts which rouse the frenzy of a crowd of dogs of which the barks get lost in the strange moos of Yeti or missing link. Prisms congeal their tones in suspension, when a heavy pulsation à la ['ramp] (maybe Redshift?) spreads a heavy climate of suspense. Percussions support the slow cardiac rhythm coming from the resonant pulsations with tick-tock of wooden whereas that a synth spreads its wrapping layers to tones so frightening. And finely the circular rhythm of "Who Goes There?" goes from an ear to another with an approach which zigzags such as a fine stroboscopic thread to outlines eroded by the perfidious breaths of synths. Synths which can also weave some harmonious filets, just before that the last pulsations die in the crackling of a fire which resists to the intense gusts of the opening. Insane!! You bet your ears out! And it's beneath angelic breaths that "Who Goes There?" switches off its superb rhythmic structure. Like what nothing is of neither rhythms nor of concrete melodies on “Paintings”. A little as to punish our ears for having succumbed to the charms of "Who Goes There? ", "Astral Beings Hatchery" spreads its painting of cacophony under the synth breaths of ether which remind me of the weird paranormal moods of Klaus Schulze on Cyborg and Picture Music. "Misanthropic Aliens" ends “Paintings” with a structure which is similar to "Hidden Nooks of our Ego", except for the finale which embraces the frenzy of "Who Goes There?". The intro is a sheet of micro-organic tones which pulse and bubble in a universe of sadness. This first phase (Whispers from the Ancient Permafrost) is purely organic while the 2nd one (Helpless Prisoners of Fiction) espouses a more filmic ambient model with grave breaths, like lamentations of Buddhist trumpets, which get lost in the harmonies twisted by a synth and its spectral solos. These solos subdivide their caustic and ochred charms in a universe which abounds in astral reminiscences of Kitaro. The 3rd phase (Diplomacy Failed) explodes of a steady rhythm of which the ignition calls back Jean Michel Jarre on Rendez-vous 4. This portion of “Paintings” is the liveliest with a great approach of electronic rock molded in the symbolic rhythms from the creator of Oxygene. The universe of Przemyslaw Rudz requires a lot of dexterity in its approach. And “Paintings” explains why. Jean Michel Jarre, Pink Floyd, Kitaro and Klaus Schulze gathered in the same sound pattern can only be puzzling. Puzzling but on the whole mesmerizing with musical organicosmic and ambiospheric sheets which stir up in ambiences of which the charms awaken beautiful souvenirs of an era when grass and acid filled our personal experiences. Difficult to tame? Yes! But once our zone of comfort opens to new more audacious horizons, we delight ourselves in these experimental approaches which put constantly our ears on the alert. When EM surrounds itself with its most beautiful experimental assets, it gives a work which deserves that we stop there. A work such as “Paintings”! I begin back to front. After having cheerfully eaten every bits of sound from Shiver Me Timbers, now I'm savouring its EP of accompaniment; “Precooked Munchies”. Throughout such an elegant naming, Jerome was answering to the needs of his fans that were waiting for an upcoming full length album for a while now. Six months separate this EP from its album and the 2 first tracks are the same, and in the same order, as on Shiver Me Timbers. After the superb "A Mellow Morning" and "Mrs. Misty Kiss", "Sea Miles" unscrews us from the floor with a spiral sequencing movement which spins and clink like metallic percussions to be made go pale Jean Michel Jarre. This is intelligent and provocating synth pop, like we find at full tones all over Shiver Me Timbers. This track is simply amazing with its stream of sequences which skip in alternation before getting criss-crossed in fine oscillatory waves. The mood is filled by a contemporary psychedelic aura and deviates subtly towards a heavier rhythmic with a bass line and its claustrophobic oscillations which awaken a surprising meshing of rolling balls sequences of which the oblong serpentine is circulating between superb strikings of percussions to thousand echoes and the heart-rending riffs of a Guitartronica more melodious than blasting. Let's say put that Jerome fills our ears to the rim. The intro of "Joy and Sorrow" offers a delicate rhythm. A rhythm of Caribbean islands with tom-toms which drum on the fragile chords of a guitar which displays its harmonious loops, and its peevish riffs, before sinking into a heavy electronic rock with powerful loops and good harmonious solos which feed at the end a progressive techno à la Chemical Brothers. "Lamb with Radar Eyes" doesn't presentation. This track out of TD's 96 Goblins Club is brilliantly interpreted here and presents a quite interesting evolution with a high-quality live sounding. Listening to some Andy Codon is like to have an inner interview with our life. It's like embracing our most beautiful memories and healing our most profound wounds. 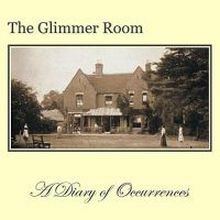 More than two years after the troubling and magnificent I Remain, The Glimmer Room returns tortured the reminiscences mislaid in a life abandoned for those of others with an album inspired by Emily Dickinson's deeply moving poem; These are the Days when Birds Come Back. “The Wind Blows Summer from the Trees” is an intense elegiac work which consumes its 49 minutes throughout 9 windows where sensible field recordings and samplings as well as soft evanescent melodies bring out the old souvenirs of a sleepy memory. The rhythms are delicate and the melodies are poignant. A little as in I Remain they are transported in an emotional crescendo by caresses of synth which wave like tears on a wrinkled cheek, such as some invisible tears of a life mislaid in the meanders of its fate. A spectral voice of an Elfic goddess narrates Emily Dickinson's poem through chilly autumn winds. Those who are familiar with the musical universe of the English poet synthesist recognize these hesitating arpeggios and their sensitive harmonies which go down from skies delicately moved by a synth as much sensitive as an old age teardrop. A synth of which the fine oscillations draw shivers in the soul with contemplative and plaintive melodies which cry in the shadows of ambient rhythms moved by impetus full of restraint. The rhythms of “The Wind Blows Summer from the Trees” are more presents that on I Remain. They go and come from their ephemeral rubbings, exception made by this foray of city and folkloric ambiences between part 7 and 8, feeding approaches and dramatic crescendo which ignore themselves. They accept to be lulled by strata as much wrapping as the arms of an absent but wished mother. They hone the palpitations and modulations in front of so much tenderness. Already, we topple over in the depths of our feelings when Part 1 embraces Part 2 and its fragile harmonies which are like some breaths of nostalgics dying. Everything is so delicate. Everything is so beautiful. Children's samplings playing with innocence open the 3rd part which pushes even farther the limits of melancholy with some breaths of oracles crying with an infinite abandonment. These synth layers of prismic veils and breaths of pains which increase their sadness like concerto for tortured souls feed the melancholic canvas of a work forged in knocks of sorrow in an infinite tenderness, such as the shout of redemption of a repentant lost soul. Through the samplings which depict the life in all the contrariety of its paradoxes, The Glimmer Room draws the immense sides of a work intensely intimist which sometimes caresses our solitude and sometimes feeds its nostalgic source. The synths spread an arsenal of layers and musical waves which move like shadows torturing our past with some somber breaths all so poignant from each other. The rhythms are abstracted and are modulated from layers of emotionalism which roll such as tears trying to go back up in their lachrymal nests. They appear like furtive shadows, set apart the knocks of metronomes in the 10th part, to merge in the harmonious multiplicity of layers to Elfic tones of a melancholic synth. Like a writer who describes brilliantly the slightest parts of an emotion, Andy Codon plays with nuances and ambiences pushing even farther the doors of perdition. And so passes by the 49 minutes of “The Wind Blows Summer from the Trees”. Once again The Glimmer Room delivers an ambient opus without defect which follows a stunning ascent of emotional adrenalin. It's a real musical poem which comes with a magnificent notebook where the genesis of “The Wind Blows Summer from the Trees”, is write on a parchment, showing the romantic and medieval sides of Andy Codon. And if you look for another kind of ambient music, more a prose kind and more musical, it's high time that you discover the music of The Glimmer Room. I made it since his surprising Grey Mirrors in 2004 and I was never disappointed since. 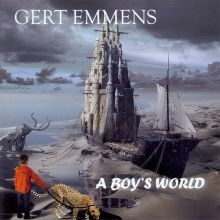 Gert Emmens is a sure value in the world of EM. Since Wanderer of Times the Dutch synthesist aligns opuses of an exceptional quality, allying the complexity of his long exploratory parts to melodious themes which hang on. Dedicated to the imagination of his 12 years' old son, “A Boy's World” is a pure masterpiece of rhythmic constancy with stunning movements of sequences which shape poly directional rhythms in an at the same time progressive and melodious musical universe. Wrapped by a wonderful artwork, draw by the artist George Grie (whom I invite strongly you to watch his works on his site www.neosurrealismart.com), “A Boy's World” transcends the imagination with a hardly felt youth approach. Frank's fantastic journey begins after school. The particles of ion surrounding his imagination are fine atmospheric dusts which transport him, as well as us, in a rich and heavy ambience. It's the beginning of a fantastic sound journey. A beautiful movement of sequences, as heavy as slow and with a catchy melodious thematic, establishes a galloping tempo, like being on a plain worked of small hillocks. "School's Out" becomes a kind of galactic western stuffed by splendid solos and Mellotron breaths to cut the musical horizon of a rebel tenderness. The slamming percussions add a cosmic electronic dimension to a track with fine modulations. The percussions and the sound effects form a mesmerizing contrast and are admirably well run by Gert Emmens. 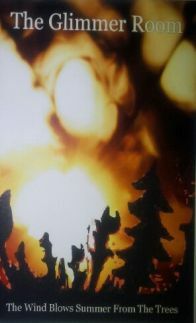 The rhythms draw by the sequencer on "Gaming Part I: Battles are Won and Lost", are heavy and threatening. The sound effects which circulate there and hoot to the nothingness are superb and encircle a strange eclectic world which is guided by these so beautiful synths and sequencers to varied humors, cutting the rhythm into constantly evolving modulations. This is an excellent track with tempos moving in crescendos on furious sequences of which the freed ions are winding through pleasant synth solos. An atmospheric passage gets through it towards the 14th minute, forging a new sequenced structure which gives free rein to a very libertine synth. The 2nd part of "Gaming Part I: Battles are Won and Lost", "The Quest", is the most beautiful moment on “A Boy's World”. The sequencer draws a stuntman kind of rhythm after a superbly melodious intro, paving the way to a unique Emmensian mixture where synths, choirs and sequencers unite to create a harmonious theme which sticks on the hearing and this in spite of the numerous changes of orientations. Listening the synth whistling for the melodious sweetness of the winds on the shifting forms of the charming rhythms is a delight which makes our spine shaking as much as the last melancholic thoughts of the soul. A brilliant track, complex maybe but which has an equal only her sensibility once tamed. "Life Around the Sand Castle", quite as "Teenager Behavior" and "Nothing lasts Forever" are more ferocious tracks, strongly livened up by sequences to unexpected course. Each offers structures and colorful passages as well as more flexible and softer nuances, in particular "Teenager Behavior" and its brilliant Mellotron. Gert Emmens' univers is unique. We hear rhythms and feel ambiences molded in contradictory avenues where melodies bloom like roses on tumultuous fields. “A Boy's World” is another strong album filled by this universe of sequences and synths to surprising evolutionary plans. I liked from beginning to end with in addition a handful of shivers love for the music and its numerous new developments. Strongly recommended! You loved Shiver Me Timbers? You will be crazy about this mini EP. Jerome Froese became a whole one-man band. A studio wizard who managed to compose strong EM pieces which are mainly harmonious and sometimes complex. On the other hand we are at the opposite of conventional EM. “The Speed of Snow”, as Shiver Me Timbers, is EM of a soft techno style. It's a bit like Depeche Mode, without the singing, or Ulrich Schnauss but with a more eclectic approach where the music kisses light tints of cosmos. The title track starts with small chime keys, a little as on A Mellow Morning (Shiver Me Timbers), before diving on a more jerked rhythmic structure. The rhythm becomes heavy and dense where riffs of guitar and lamentations of synth support the delicate harmonies of the introductory arpeggios of which the euphonies sparkle on military drums rolling. 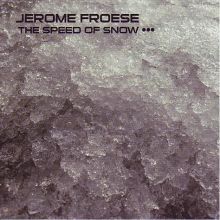 Both convivial and complex, Jerome Froese's musical universe explodes of a melodious freshness which bends on heavy rhythms interrupted by hyper melodious passages. A romantic introduction opens "A Cold Spell in Spring". Jerome strums an acoustic guitar which courts cosmos. These light riffs are hiding behind subtle arpeggios which don't reach either heavens or stars but well and truly our ears. Slowly a world of echo surrounds the structure which floats in the harmonies of an ethereal six string with good chiselled solos. This is a beautiful track where Jerome flirts with spatial music. "Summer Light Fantastic" stumbles on nervous guitar chords and a synth with tetanized strata before undertaking a frenzied bend on a caustic and hopping bass which couples its rhythm with percussions to hammerings subtly furious. A bipolar track where the wild rhythm is next to harmonies which bloom in a more crystal clear and harmonious universe, "Summer Light Fantastic" spreads the outlines of a surprising musical paradox which depicts marvellously the depth of this brilliant artist who, I feel, will often amaze us. “The Speed of Snow” is a very good EP and a nice complement to Shiver Me Timbers and a beautiful continuity of the styles offered in Neptunes. Two works that I have just lay my hands on and that I will talk to you about in a near future. Once again I let myself seduced by another musical adventure proposed by the Lyon based label Ultimae Records. It was the very first time that my ears tamed the amazing, I have to say, universe of Aes Dana. Wrapped within ambiences calcified by an avalanche of synths layers to breaths of Scandinavian metal, “Pollen” flows into our ears with structures where the rhythms embrace indecision. Rhythms cherished then abandoned by a meshing of static pulsations and percussions to knockings with copper-colored tones which in their turns are abandoned by a pond of melodies divided in an unexplored sound fauna. Down-tempo, trance skilfully revised and corrected and IDM interlace in an organic sound universe where everything becomes possible even the solidification of spectral and extraterrestrial ambiences which is the spearhead of a universe that few dare to approach. A universe where Vincent Villuis and Sandrine Gryson (Mahiane) reign in absolute masters and where “Pollen” lets itself seduce by contrary winds. A little like caresses on a mane with hairs of fine metal, some floating spectral waves float in an ochred abyss and force the cloud of radioactive mist which feeds the intro of "Jetlag Corporation". The mood is of ether and the rhythm is hatching with deep percussions to tones of banging of hands which pound in a universe of lava fusion. It's a fluid and jerked rhythm which drums of its silvered skins on an ethereal structure where voices à la Tangerine Dream (A Cage in Search of a Bird) feed a duality between the gregarious percussions/pulsations and the synth layers which float in harmony with voices of Aphrodite's angels. "Borderline" moves on with this meshing of percussions jingles and refrigerated palpitations which get lost in the curves of an exhilarating bass line and in the lines of a synth which mixes its somber harmonies with discreet vocal breaths. Still there the rhythm is fragile and waves by fragments, espousing the vices of a lunar down-tempo which drinks of percussions more intense. We perceive voices. These are breaths of grey metal that adopt the sinuous bends of synths, moulding breaths of abstracted passion on rhythms in search of a more steady shape. Welcome to “Pollen” and those rhythms constantly anchored in ambiences shared between an oniric sweetness and a sizzling coolness, following a slow pulsatory crescendo. And the rhythmic implosion goes by "Conditioned" which modulates its intro on hoops of misty hazes which pile around a metronome and its metallic jingles. Static interferences, cloistered rustles, random percussions/pulsations and tsitt-tsitt cymbals encircle this rhythm weakened by the shade of an impressive sound fauna which ends by hammering a heavy rhythm of lead, bringing "Conditioned" towards "Tree. Some" and its technoïd rhythm which pours towards a psybient before nesting within enormous buzzing pulsations. The knockings are loud and powerful. Following the hypnotic frenzy of dance floors, they bang with such a heaviness that the hoops of metal get liquefy. This low and hammering rhythm finds a quiet asylum in the psychedelicosmic intro of "A Carmine Day". But like a pollen shaken by lineal gusts, the rhythmic ascent of “Pollen” reached its cruising speed and the one of "A Carmine Day" splutters of its nervous percussions by clicking into some serial echoes on the hiccups of a nice stroboscopic line which parades throughout a heavy, pulsating and hypnotic rhythm, lifting the harmonies of a wave-like ballad cooing in a surprising universe of psychill. "101 Clouds" calms things down and opens the delectable 2nd part of “Pollen” with a suave pleasant cosmic down-tempo which pounds with languidness on a cosy reads of futuristic tones. The tempo is soft, absent by moments, even sensual and on other moments more authoritarian, giving free to a fusion of quirky tones which espouse marvellously the psybient approach of “Pollen”. It's a very good moment on “Pollen” which takes an opposite rhythmic path with more flexible rhythms flooded in ambiences even more psychofrenic, like in "Riven" and its rhythmic lappings which bind themselves into the pulsating segments of a rhythm lost in these psychedelicosmic and ethereal moods. If the rhythmic blooming is in diminution, it remains not less hard-hitting here and there. Like on "The Meeting Point" which is a splendid down-tempo lit by sensual percussions strikes split up into an organic musical fauna of which the harmonious bits invade our two hemispheres. Extricating itself from a fountain of static cracklings, "Horizontal Rain" offers a rhythmic broken in the mid-times of sinuous strata of a synth to silvery breezes. A muffled pulsation mutters with uncertainty, debauching some stupefied knockings which hang on to jingles of cymbals. The harmonies are smooth and drawn by synth waves of which the eclectic tones avoid the hypocrisy of rhythm and chords of a nebulous guitar. These harmonies gauge of their uncertain airs this rhythmic structure which sometimes bursts and sometimes dies through the broken lines of a stroboscopic movement which gets lost in percussions sometimes sober and sometimes anarchic. This is a rather puzzling track which leads us towards the enigmatic "Low Tide Explorations" and its night-paradisiacal intro where the beams of the moon kiss the waves reassured by the soft breezes of Morpheus. Except that the evanescent rhythms of “Pollen” are always pounding of last jumps, resuscitating melodies forged in crystal breaths. Melodies as much fleeting and insistent as the rhythms which encircle the psychedelicosmic and bipolar atmospheres of an album as charming as disconcerting which brings us towards a contemplative kind of ecstasy with an attentive listening, the ears prisoners of a pair of earphones. If the first listenings of “Pollen” have left me perplexed, I profoundly fall under its charm as soon as it clicked. And it didn't take time! 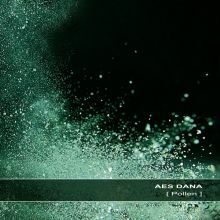 This album of Aes Dana is like an auditive rendezvous with a new intelligent musical form of life. It's an EM which lives cloistered in its fugitives rhythmic brouhahas and its melodies weaved into psybient frenzies to merge in a strange harmonious symbiosis which makes us move as much as dream. Lively? Absolutely! But lively like pollen of which the dust is gathered by a swarm of anarchy bees. Simply delicious! Don't surprised if you have the strange impression of hearing Klaus Schulze and his Inter Face to En=Trance era when your ears will cross Ron Boots' last marvel. 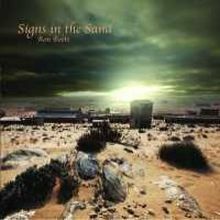 Concocted in the shade of the music played during his concert given on May 19th, 2012 at the Saint Bavo Church in Haarlem, Netherlands, “Signs in the Sand” is inspired by the inspirations of an artist who influenced Ron Boots and hundreds of EM musicians; Klaus Schulze. On 2 wonderful long music pieces with oblong minimalist movements, Ron Boots draws the sketches of a mesmerizing universe of surrealism where black choirs hum absent airs on experimental rhythms in continual movement. A concerto for voices of schizophrenics roaming in corridors of a psychiatric wing opens the gaps of the somber "Klaustrofobie". This colorful intro of absent voices begins the 27 minutes of an epic title which allies psychedelism and eclecticism on a long gyrating minimalist rhythmic structure where is dragging a pleiad of crazy tones (telephones ringtones, vibrating serpentines, absent, rustles hollow winds, paranormal gongs, etc.). Keys of a puny sequencer extricate themselves of this foggy canvas of alienating madness to dance in a waltz of delicate spasmodic hiccups which lose their illusions into the withdrawing lines of a synth and of its solos filled by strange claustrophobic aromas. Quietly the rhythm of "Klaustrofobie" brings together pulsations and mislaid chords to amplify a pace which wins in imposing presence. Solos are vicious! Swirling like spectres of madness or lassoes without strength, they encircle a rhythm became heavier and stronger. This rhythm, which is difficulty identifiable, reached its maturity with an alloy of glaucous pulsations, muffled percussions, curt synth pads incision to breezes of glass but especially of sequences to two-colored tones where tones of contrasting anvil glass and erratic xylophones keys are bursting of a delicious harmonious aura for a track which imprisons its passion into the corridors of insanity. Comparisons with Schulze? There are. First of all this minimalist rhythm which fattens its greediness with the addition of lost sequences in these long rotatory hallways, but also these superb solos with elusive dimensions which skim over this indescribable rhythm like some blue clouds of ether which try the cerebral asphyxia on a dying refusing its fate. Are they dreamlike breaths or breezes of insanities? No matter cause the illusion of a madness announced in the first second of "Klaustrofobie" persists throughout this surprising track which by moments borrows the long corridors of the internal madness of Remy (The Great Church Trilogy and Exhibition of Dreams). The intro of "Dream but not of Today" continuous the exploration of black and paranormal ambiences with absent choirs humming a distress which gets lost in oblong musical hoops of which every outline awakens an unreal aquatic fauna. Tears of cello caress the despair of rebellious souls of which the faded voices shape the humming of penitent bees while the waves of synth are rolling on the sea tranquillity, reflecting on its waves the twinkling desire of silent stars. A fine line of sequence makes waddle its ions a little after the 6th minute, drawing a hopping rhythm which catches a strong line of a resonant bass and percussions which knock out the rhythm with some discordant strikes. And docilely the rhythm repeals the incoherence to embrace a beautiful harmonious cohesion around fluty breaths and these fine sequences which sparkle like lights of prism. The absent choruses and their destroyed voices bring a nightmarish dimension to this long minimalist movement which embellishes its structure became oniric with twisted solos that Erik van der Heijden draws such as in la belle époque analog of Klaus Schulze. Superb! The title-track changes the face of “Signs in the Sand” by a much less experimental approach. Keyboard chords are dragging at the tip of a rhythm which sounds just groovy, before modulating its approach with a sequenced undulatory movement which continues to rock these weakened chords always dancing in the breezes of an aphrodisiac synth. Strange and dazzling, delicious and scheming but especially sublime! Such is the concise analysis that one can make of this last Ron Boots' opus. “Signs in the Sand” is at the height of the Dutch synthesist great talent. It's an album rich in ambiences and in crawling harmonies which burgeon on hypnotic rhythms which hook to the hearing with these fine and subtle permutations. It's a titanic work which is more than respectful of the object of its worship; Klaus Schulze. Wonderful!